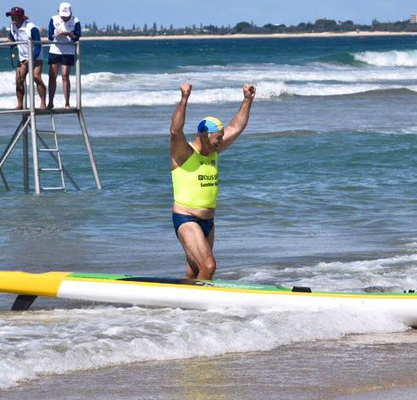 OCEAN Grove Surf Life Saving Club’s Paul ‘Frog’ Tierney won the 65-plus ski race at the 2016 Australian Surf Life Saving Championships. Held on the Sunshine Coast in Queensland, ‘Frog’ celebrated with a victory dance on the dias after his win. 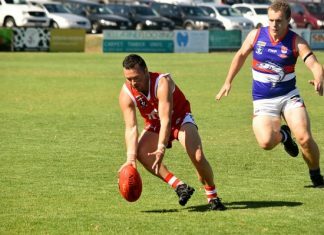 A host of club members made the trip up north for the championships.